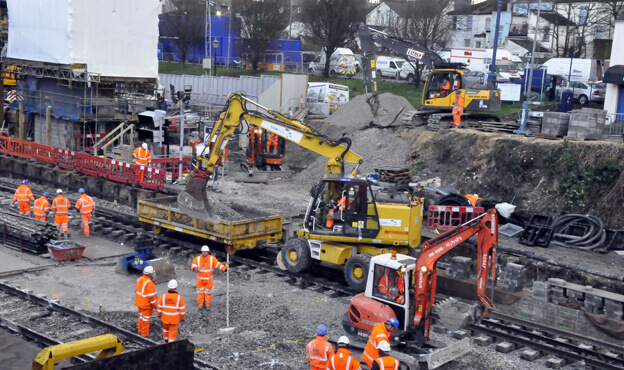 The remodelling of Gravesend Station was the final part of the Kent Train Lengthening Programme. 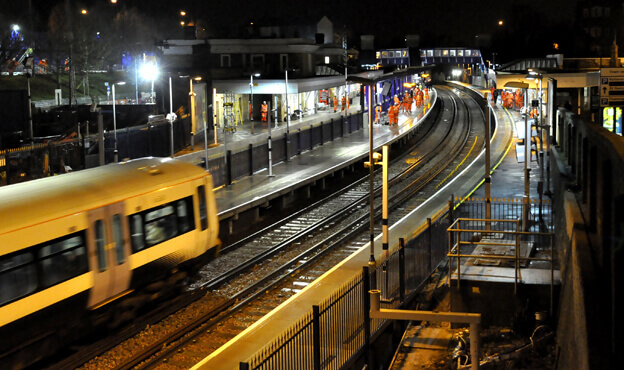 Spencer Group was commissioned to add an extra bay platform to accommodate the large number of commuters to London. This needed to be long enough for 12-car trains, which also meant extending the existing two platforms. The construction phase of the project was primarily delivered over a 15-day blockade. 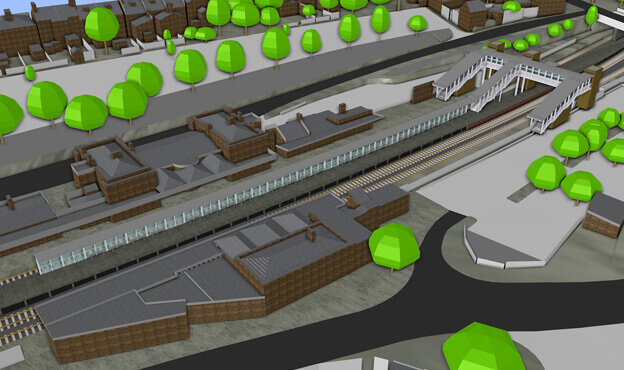 In addition to building a new platform and extending the existing two platforms, the team also removed the existing footbridge and water tower and constructed a new AfA-compliant footbridge with lifts serving all platforms. The Spencer team took a collaborative approach to the project; both internal and external stakeholders worked alongside the project team, which also developed positive and productive relationships with multiple partners. A number of precautions were put in place to reduce or remove the likelihood of accidents, and the team hired security personnel to control all entry and exit areas to the site and manage all access control on the busy town centre site over the Christmas period. This challenging multi-disciplinary project was completed on budget and on time in some of the worst winter storms ever seen in the south of England, due in large part to detailed planning and design in order to maximise prefabricated components and remove as many wet trades as possible. This included a bespoke platform trestle design in precast concrete with a factory finished top surface. Spencer planned meticulously for the safety of everyone involved, including installing the footbridge prior to the main blockade in order to de-risk the project, resulting in not a single report of an accident being made throughout the length of the project. The heritage aspects of the station, including a historically significant bridge, were preserved, whilst simultaneously ensuring ‘Access for All’ by installing lifts on all platforms. The improvements have unlocked capacity in Kent, with considerably more space and seats for passengers on a busy commuter route in and out of London.